European Council president Donald Tusk has suggested there are three possible outcomes to Brexit negotiations, while firmly putting the ball back in the UK’s court with regards to reaching a satisfactory resolution. 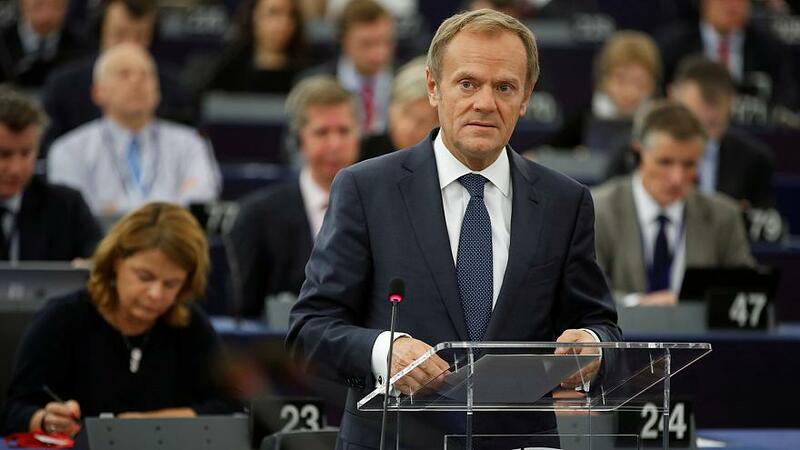 Reporting back to MEPs on last week’s EU summit, Tusk stressed the need for EU unity during negotiations, and even suggested that Brexit may not happen. EU27 must keep unity regardless of direction of talks. In fact up to London how this will end: with a good deal, no deal or no #Brexit. Tusk’s comments follow last week’s EU summit where leaders of the 27 member states agreed that not enough progress had been made to move on to phase two of negotiations, what a future trading relationship between the UK and the bloc might look like.